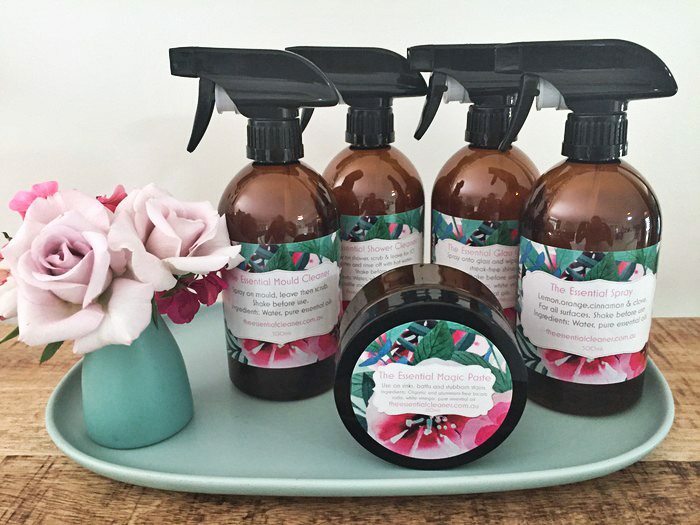 My name is Kelly Reeves and I am the owner of The Essential Cleaner, natural cleaning and body products made with Pure Essential Oils. I live with my husband, Martin and cats, Louie and Lottie in Forest Lake, a south-western suburb in Brisbane. My business is a range of natural cleaning and body products made with dōTERRA Essential Oils. 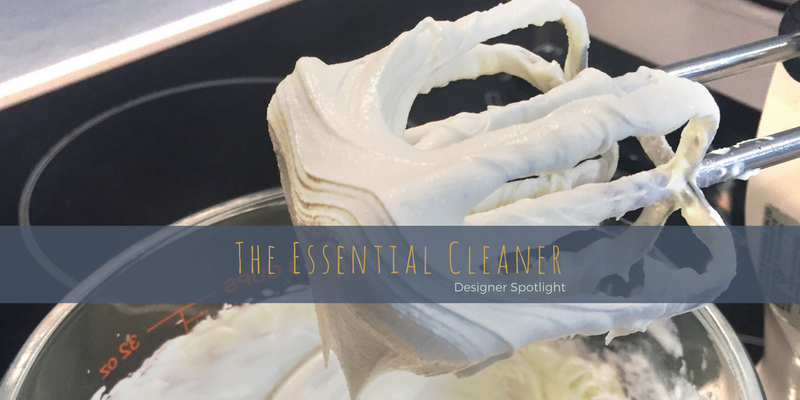 I make all the products myself and The Essential Cleaner is my full-time business. Our products are 100% natural and have no chemicals in them whatsoever. I started making natural cleaning products as I had chronic allergies and asthma. 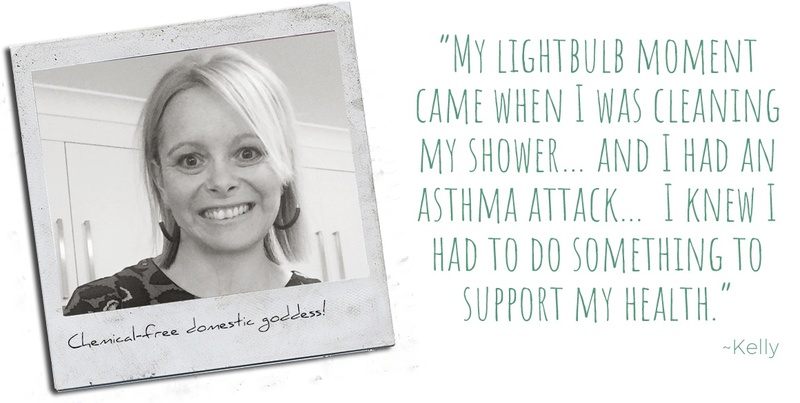 When I used to clean my home with chemical-laden cleaning products, I suffered with asthma attacks and chronic dermatitis. My lightbulb moment came when I was cleaning my shower with bleach and I almost fainted, I became light-headed and dizzy and I had an asthma attack. I knew I had to do something to support my health, so I did weeks and weeks of research and development and found Essential Oils make excellent ingredients in cleaning products as they each have their own unique properties. 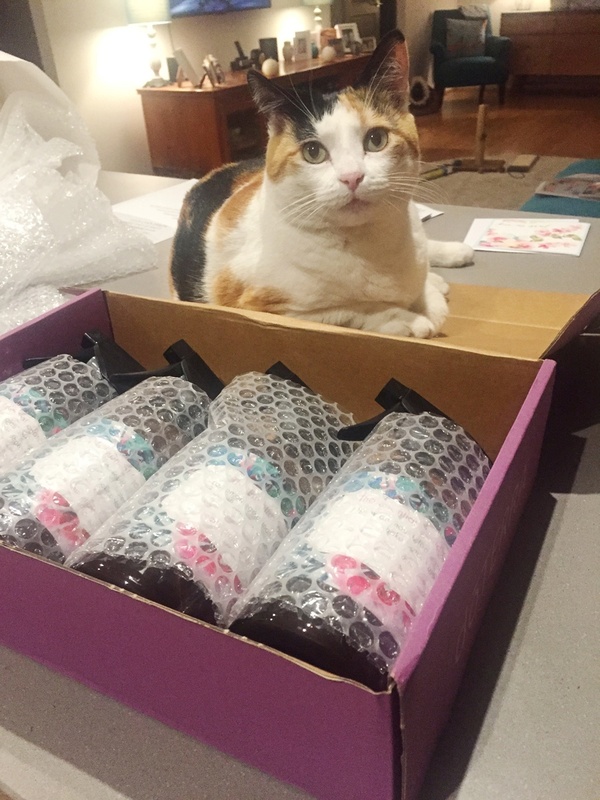 My cat Lottie likes to be involved, especially when it comes to packaging our products. We live in a light-filled spacious home and have lots of trees and birds around our property. 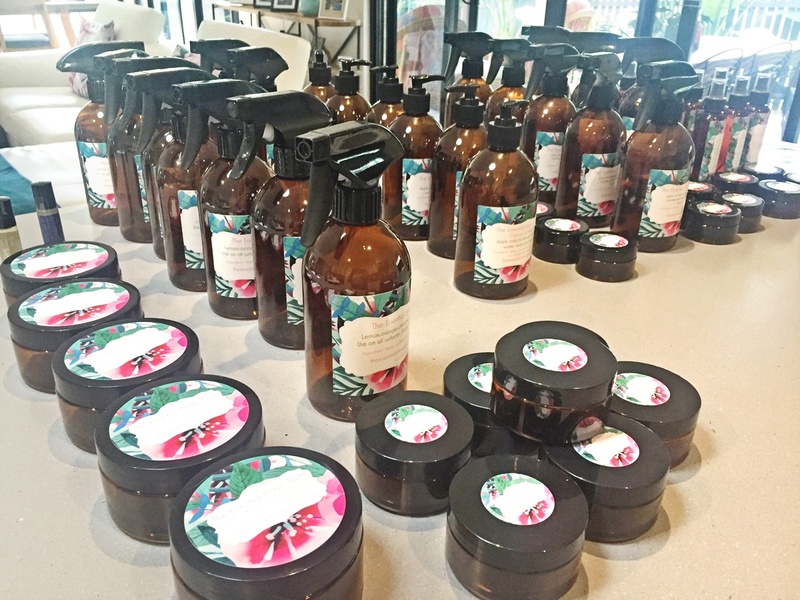 I love making my products in in small batches in our kitchen as I can hear the birds chirping and can hear the leaves rustling on the big trees in our backyard. It is a beautiful light space overlooking our garden and pool. I love working by myself as I feel very creative. I usually have music on and that helps to embellish that creativity. Although we live in suburbia we have lots of birds including lorikeets, kookaburras, magpies and tawny frogmouths visiting our house as well as blue tongue lizards. Our home is a creative space filled with goodies we have collected from our travels around the world. I love cooking, walking (I meditate when I walk and get lots of good ideas about new products), gardening, travelling and spending time with my family, friends and cats. 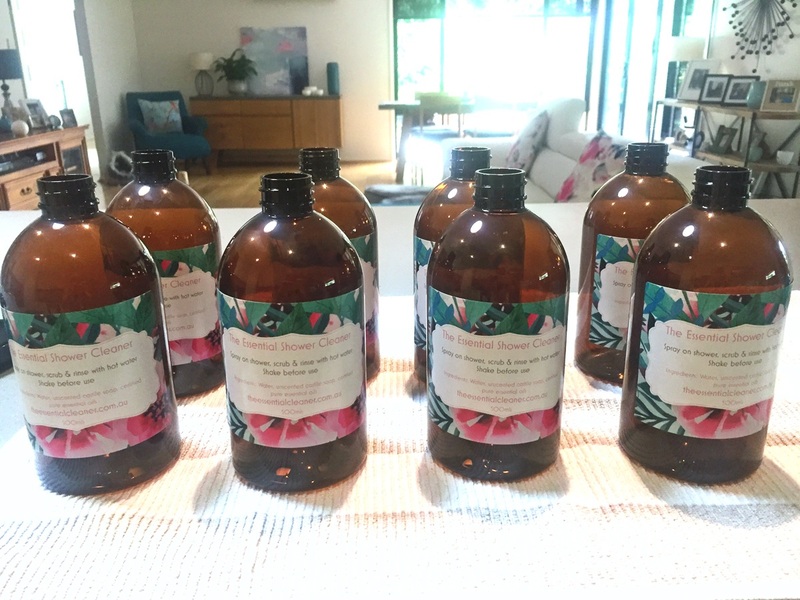 I lost my beloved Mum Jenny to cancer in 2015 and she would’ve loved seeing me create these products. I use her tea towels, bowls and jugs when I make my products. I love that she is with me through the process. I am inspired by colour and I think that can be seen in my choice of labels for my products. I quite like cleaning and I think cleaning products should be on display in our homes, so I made the labels bright and colourful to be on display in your kitchen, bathroom and laundry. 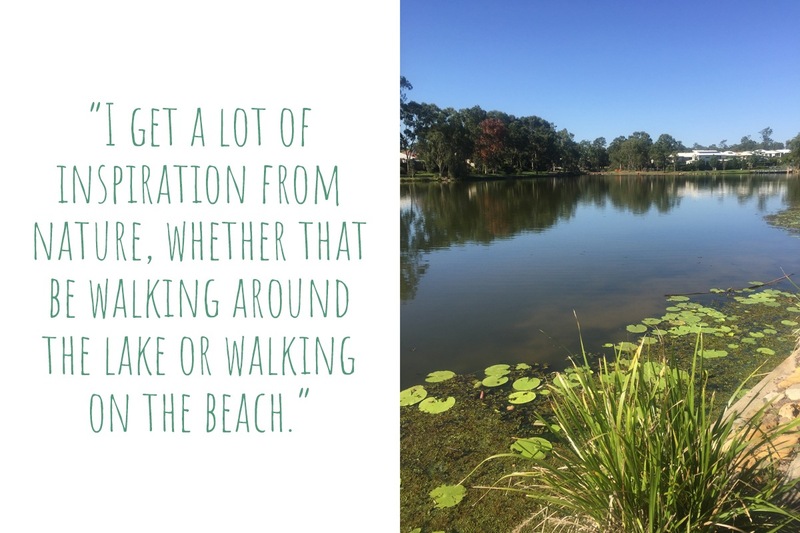 I get a lot of inspiration from nature, whether that be walking around our lake or walking on the beach. I put a lot of thought into the products; they have to do their job, but I love that they are all natural and smell amazing and are uplifting. I love that cleaning products can make you feel good! I make products in small batches as I make them with a lot of love and I use packaging that is recyclable and sourced locally. I make refills for all the cleaning products, so people can use their bottles over and over again. Customers’ feedback has been that they love knowing where their products come from and knowing I make them. I love meeting and getting to know customers. I have lots of lovely regular customers and I get to know them and their families, which is very special to me. I also enjoy connecting with other creative makers- both online and at markets. I have been selling on Madeit since the beginning of 2018. I love that Madeit provides an Australian-only platform and supports us by promoting on social media platforms, email and newsletters. I love that as a small business we are getting our name out there! It feels like we’re all a big team. I enjoy working from home for lots of different reasons- I don’t have to spend time commuting, I feel very creative here, I can be wearing my most comfortable clothes and no makeup but still be creative. I do everything in my business from printing labels, sourcing packaging, making products, selling products, marketing and packaging and delivering products. I love that it is very personalised and customers love getting a little hand-written note from me. 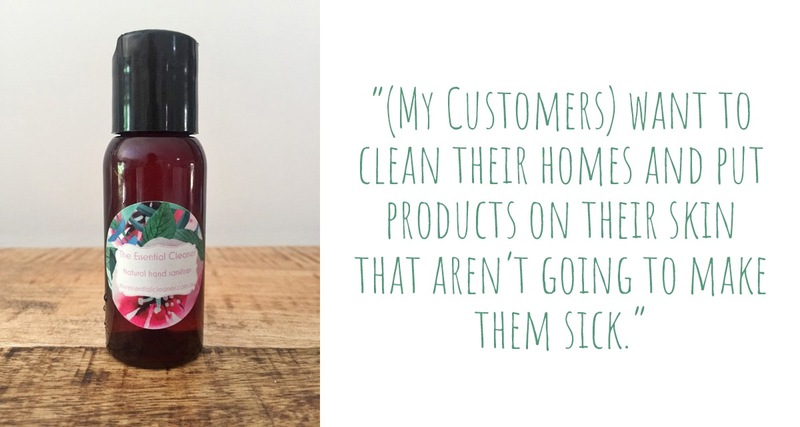 I love that I can connect with customers who are usually on a similar path to me- they want to clean their homes and put products on their skin that aren’t going to make them sick. 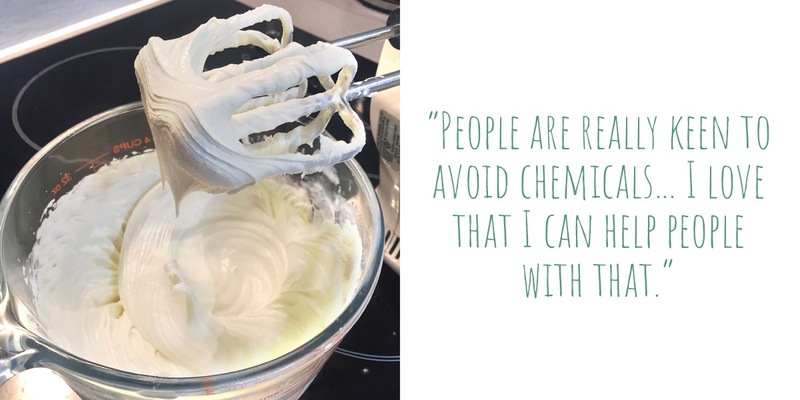 People are really keen to avoid chemicals and live the healthiest life they can. I love that I can help people with that.